Hot summer days are already here and everyone is dreaming about their vacation. We all need some relaxing moments, especially after a few months of hard work at the office with every day deadlines, reports and lot of stress. I assume that every person is impatiently waiting to go and spend their summer holiday in a beautiful place, far away from all the routine. The common mistake made by most of travelers is to have an unhealthy eating during their vacation. If you want to stay in good shape, here is a list of 10 healthy foods to eat this summer. You have probably worked a lot to have a good looking silhouette for this period, so why getting fat during your vacation? Nobody says to follow a special program this summer, but take advantage of all those fresh products available on the market. Thus, you can enjoy healthy foods this summer, while keeping your excellent body shape during your holiday. You don’t feel like summer, unless you try a delicious fresh sweet corn. 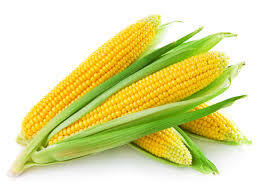 Every time I went to the seaside, eating corn was one of the top first things to do. In case you didn’t know, this product contains lutein and zeazanthin, two antioxidants found in corn that can have great properties for your eyes, acting like sunglasses. They contribute to form a specific pigment needed against the sun’s damaging rays. 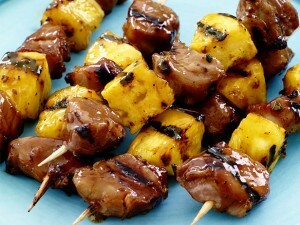 Tasty and light, corn can be found on the beach in two forms: grilled or boiled, as preferred. Have you tried tart cherries? They deliver great healthy benefits, because they are being considered the last antioxidant found in the juice. Scientists at the University of Michigan Health System have discovered in a recent animal research that a diet including tart cherries can be linked to reduced pain and risk of heart attack, better than the doctors’ recommendations. The research results shown that rats who consumed only tart cherries had excellent results, but it isn’t necessarily applied to humans. 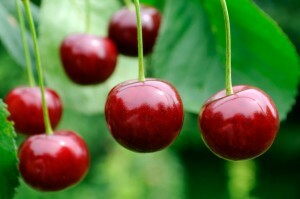 However, it is a good sign that the cherries had a positive effect in combination with other aliments. Your first worry this summer is to get protected by sun rays, right? Add some extra protection with a good consumption of tomatoes, as they may protect your skin from sunburn, due to the lycopene,a carotenoid that color tomatoes in red. You can combine them with cheese and you have a healthy breakfast. It is probably the most recommended food this summer. I personally enjoy eating refreshing watermelon this time of the year, as it is full of water and keeps you satisfied with only a few calories. As a direct effect, it means that you don’t need to drink water, while protecting your skin highly exposed to the sun. 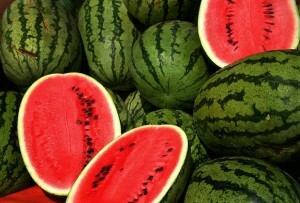 Therefore, don’t hesitate to eat watermelon this summer. 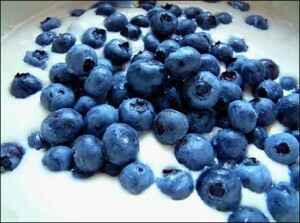 They are another source of fiber and a healthy food to consume this summer. 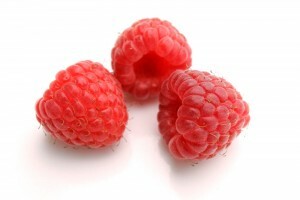 The good news about raspberries is that help people with a high level of cholesterol. Try to include them in your daily diet and you’ll see better results for your weight, as you’ll lose a few extra pounds. Use raspberries to make a perfect and delicious homemade ice cream to consume this summer. It is easier than you think and all you need is a bowl and a whisk, being also inexpensive. 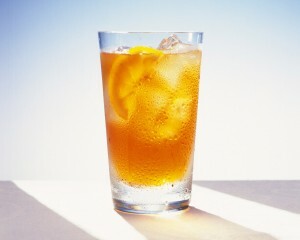 Is absolutely refreshing this summer on a hot day. What can you ask for more this time of the year, than a few relaxing summer days on the island with your partner, enjoying a cold ice tea and trying to get some tan? Besides, it has good benefits for your body consumed regularly, lowering the risk of Alzheimer’s and diabetes, healthier teeth plus stronger bones. Moreover, experts suggest to add some slices of lime, as they contain citric acid and vitamin C.
Another healthy food to eat this summer and enjoy its good properties. Treat yourself with a portion of fresh blueberries and remember they are an antioxidant that can help your body with the muscle fatigue. Celebrate summer with a special blueberry pie, an excellent desert to try these days. Eating healthier during the summer season is a lot easier that other periods, because you have a variety of fruits and vegetables to combine and vary your meals. A good example are grilled vegetables mixed with a healthy salad which are rich in vitamins, packed with antioxidants and light, helping many persons to keep their figure. 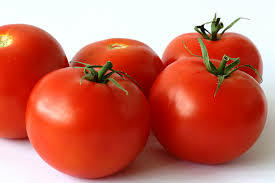 Another variant is to combine them with pasta or fish that has omega 3, very good for your heart. Craving for food this summer isn’t the best option, so use different combinations to enjoy a healthy and tasty summer food, while losing weight. What about veggie kebabs? 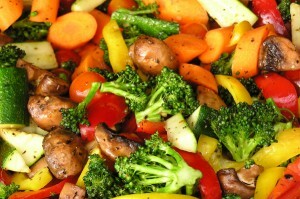 Why not have grilled vegetables mixed with some light meal for a delicious lunch at a restaurant? Whether you are in vacation or at the office, order some colorful vegetable kebabs to brighten your day.It is a very good recipe recommended by many persons, because they don’t have many calories, but plenty of healthy benefits. You can also use some garlic or different herbs, in accordance to your preferences. 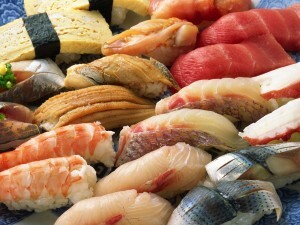 Seafood is undoubtedly a healthy alternative food this summer for any of us. Depending on everyone’s tastes, you have a variety of sea fruits to experience. There are good reasons to include seafood in your daily diet, especially during summer season, and the biggest advantage is that seafood is a great source of omega 3. Aside from being a very nutritious food, it is also considered to be the brain food and low in saturated fats.